Although behavioral research on eating is both theoretically and empirically rigorous and creative, it appears to have a shockingly small impact on public health and public policy. This may have to do with the way findings are organized and the way studies have conducted. This article has two purposes. The first purpose of this paper is to show how research can change food choices by using an organizing framework following the acronym CAN -- making healthy choices more convenient (physically and cognitively), more attractive (comparatively and absolutely), and more normal (actual and perceived). 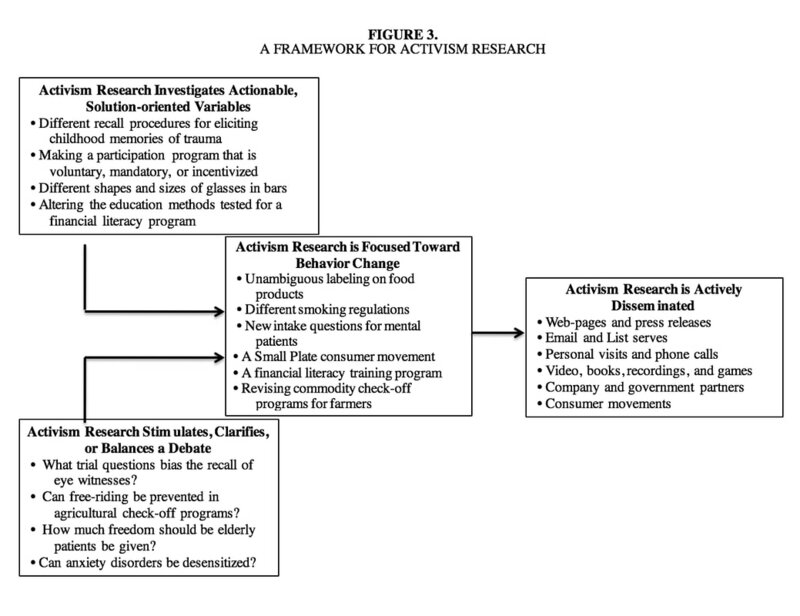 The second purpose of this paper is to introduce the notion of activism research – an approach that can be used to make behavioral science research more actionable, useful, effective, and scalable. Together these two tools -- the CAN Approach and Activism Research -- could help expand both the relevance and reach of new behavioral science research.